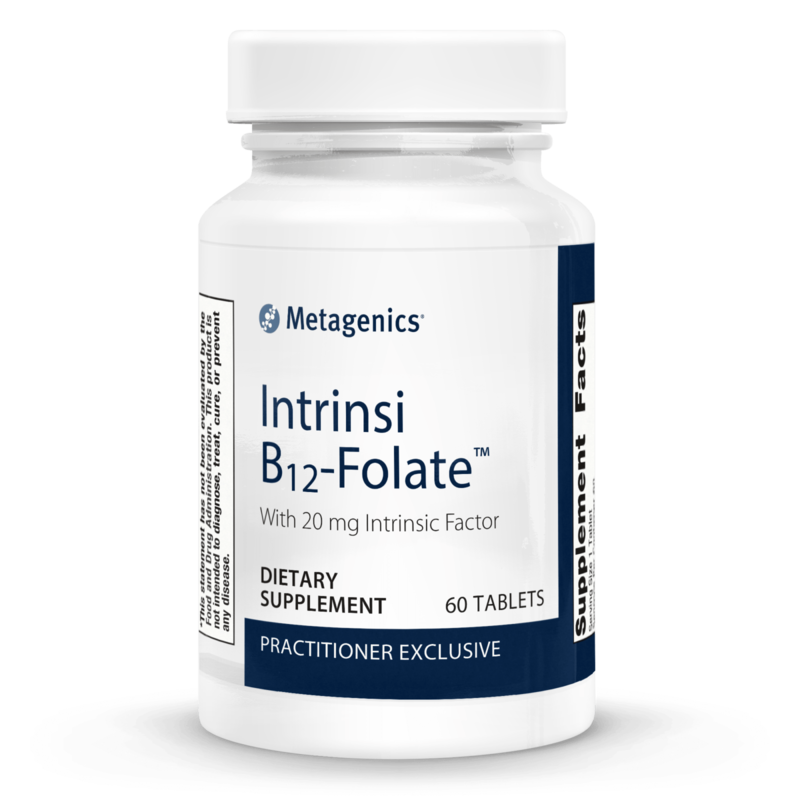 Intrinsi B12-Folate features vitamin B12 and folate in combination with intrinsic factor for enhanced absorption and assimilation. This product is non-GMO and gluten free. Microcrystalline cellulose, cellulose, stearic acid (vegetable), and croscarmellose sodium.